The thing I like about the truck housings is they plug right in. With the eurolights you have to cut your stock harness and make your own connector and mine kept coming loose; but they were brighter than stock with the bulbs that came with them, when those went I used silverstars and they looked stock again. But now I'm happy with the truck housing and hid's. Nice show. That makes it pretty simple. Euro says theirs is a direct fit, you said you had to cut it and fit it yourself? I have the Euro Light setup on my car. Both low and high beam. I made my own plugs so that I wouldn't have to cut the factory harness in case I ever wanted to go back to stock. I then heat shrink all the connector's to ensure that I would not have any issues in the future. Takes a bit longer but worth the peice of mind. Also, the Euro Lights are glass not plasic as stated in an earlier post. They are basically a factory sealed beam unit that is caplable of swapping out the bulb. I like mine a lot and for the money it was well worth it. The bulb's that came with my Euro Light kit were brighter but doesn't put out near the light output as real HID's. My wifes factory HID's on her Nissan Maxima are still much brighter. I'm going to replace all my bulbs (including fogs) with a real HID setup soon. Yeah the housings are direct fit, but there was nothing to plug the bulb into the stock connector so you'll have to make your own connector, I used spade crimp terminals. Did you end up going with the bls kit? Oh so that is why you were saying you had to cut it. So just to reitterate, lets say I am now going to go with the LMC headlamps, and I am going to put aftermarket HID's lets say from ddtuning, the bulbs and ballasts that come in ddm tunings kit will or will not click into my factory harness? Ddm tuning will work with the lmc kit and your factory harness. I haven't heard of anybody having to do any modifications to make either work. Yup you will be fine with ddm tuning hid's and the lmc kit. That's what I have in mine, the lmc kit comes with a pigtail with 2 prongs that plugs into the factory connector, very easy to install and I haven't had any issues. Nice, thank you guys, I was trying to paint a picture in my head. I deff don't want to cut into any more wires than i have too. I already had to fix my speed sensor wire on the passenger front because my parents damn dog ate most of it. I had the car up on jack stands during last winter. B****. So that ddm kit come with an adapter essentially adapting his kit to our factory wiring harness? I know I'm repeating myself here but i'm just wondering. Actually these things might be a christmas gift from the wife so I need to make sure I have everything figured out. Thanks for all of the photos broli. Yup you wont have to cut anything; this plugs into that and blah blah blah. Once you have everything in front of you you'll see how simple it is. And yeah I'm 24 and still watch the DBZ movies on dvd; got a few t-shirts as well; lol. Alright, i at 23 years old, isnt the only one. a little off topic, right now that DB Z kai is on and it's pissin me off. you have to wait to watch the next episode for like two weeks. I should just go out and buy the movies and spend three days in my apt. but some people would say that would be weird. Last edited by redrocketws6; 10-07-2010 at 05:17 PM. what is the difference in the ddm tuning kit and the rapter kit they sell? Raptor uses magnetic older style ballasts. The others they sell are digital slim ballasts. ah thank you. 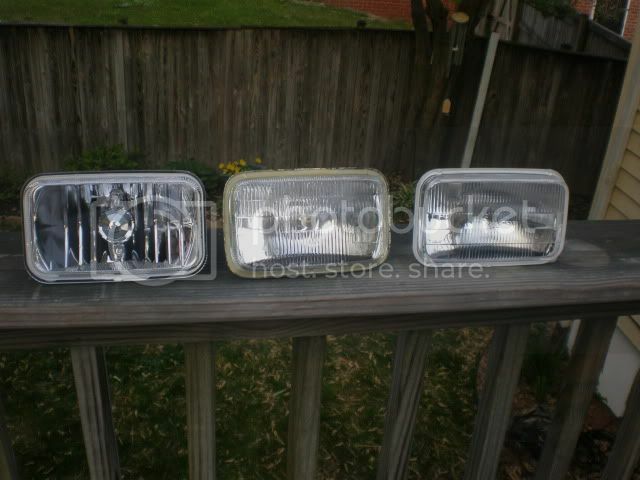 Now i just have to figure why they don't sell 9004 kits for a 04 eclipse..the wifes car..
i just did a cross reference, the h4 bulb is also known as the 9003. Just remember on a single.bulb setup it is better to spend a few extra dollars for the bixenon kit, stay away from the cheap kit that uses hid low beam and a small halogen for.light bulb for.the high. They look cheap and are worthless. I have used both I have the bixenon in my 93 5.0 but used the cheap kit.someone bought for.their Nissan frontier. Looks cheap in the lens and high beam is pathetic. Its been said before but projectors are really the only way to go with HIDs. Even with the shielded bixenon stuff, the glare is horrible and tons of hot spots. well im going to put it in her kit, ddm has the bixienon kits for an extra 20 bucks. might as well buy it for that much. 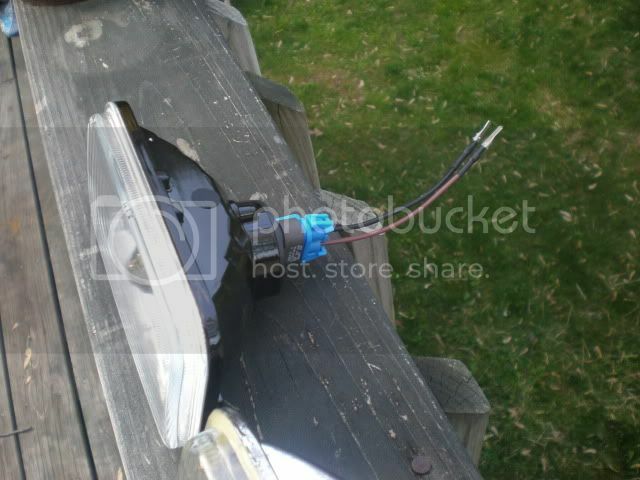 i know she is going to get some glare but im not putting new head light assemblies in her car. it'll be fine.